If you’re only just starting your art collection and you wanna have a slow get-go with affordable artworks, you should know that you can definitely find them at some major auctions as well! Three such sales took place this summer: Artcurial Prints and Illustrated Books auction, held on June 3rd, Millon & Associes Contemporary Art auction from June 22nd, and Cornette de Saint Cyr Prints and Multiples auction, which took place on June 15th. What’s interesting is that some of the artworks offered and sold at these auctions were estimated at less than $1000, yet they managed to go well over that amount, which surely made their sellers very happy. That being said, don’t hesitate to spend your money on such pieces, especially if the artists are, say, Cesar, Arman or Zao Wou Ki, because you’re likely going to get your money’s worth. Scroll down to check out the 10 artworks under 1000 at summer auctions! 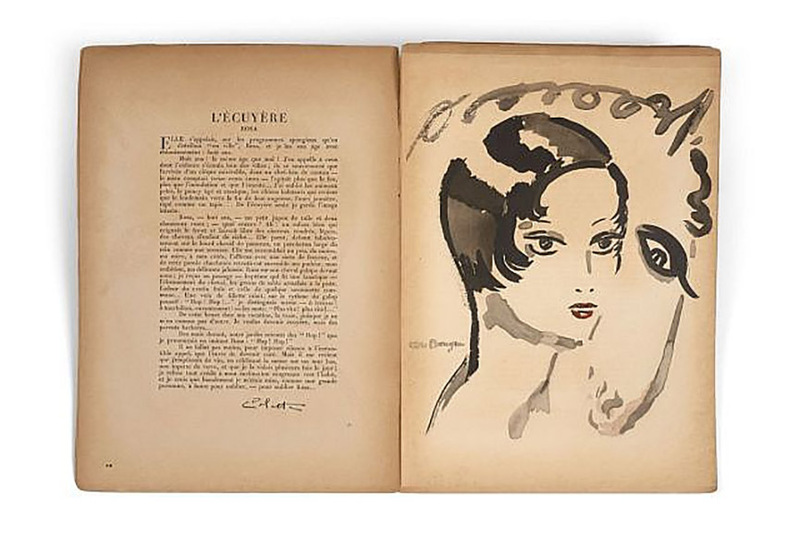 The notebook by the Dutch artist and Fauvist painter Kees van Dongen was the lot number 9 at the Artcurial Prints and Illustrated Books auction, and it was one of the artworks under $1000 at summer auctions. The 8Ème Gala De L’Union Des Artistes dates back to 1930, and it was illustrated by various designers, as its name states, including names like Forain, Vertès, Sem and Capiello. Kees van Dongen was known as the portraitist of high society women, and one of his portraits can also be found in this notebook. Estimated between $561 and $786, it was sold for the amazing $6,399, becoming the true star of the evening, and the new owner can now enjoy van Dongen’s trademark Rosa l’Ecuyère stencil. Lot 107 of the Millon & Associes Contemporary Art auction was Lucio Del Pezzo, and his 1971 Sans Titre, which became the most successful piece of the evening with $2,460 hammer price, or +450.3 percent. 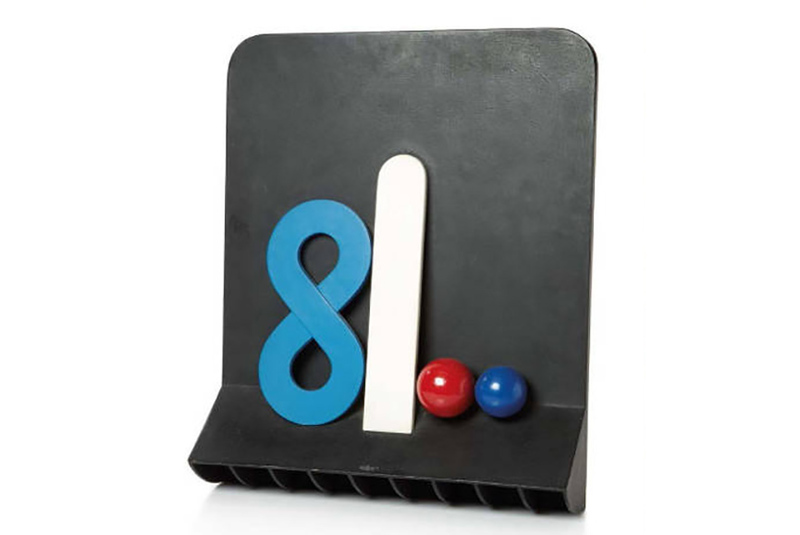 The signed acrylic on wood painting/sculpture came from a private collection in Paris, and it represents a typical artwork of the Italian assemblage artist. His art usually consists of monochromatic geometric panels, on which there are other colored geometric forms attached, placing its style somewhere between neodadaism and abstract art. 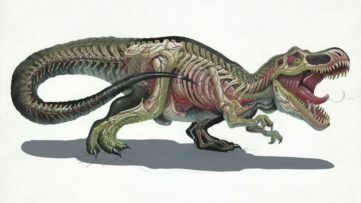 The work was initially estimated between $335 and $447. One of France’s most celebrated sculptors, César Baldaccini, or simply César, was one of the stars of the Cornette de Saint Cyr Prints and Multiples auction. His 1986 piece Coeur Eclate was one of the artworks under $1000 at summer auctions, and it achieved hammer price of $1,124, after being estimated at $225 highest. 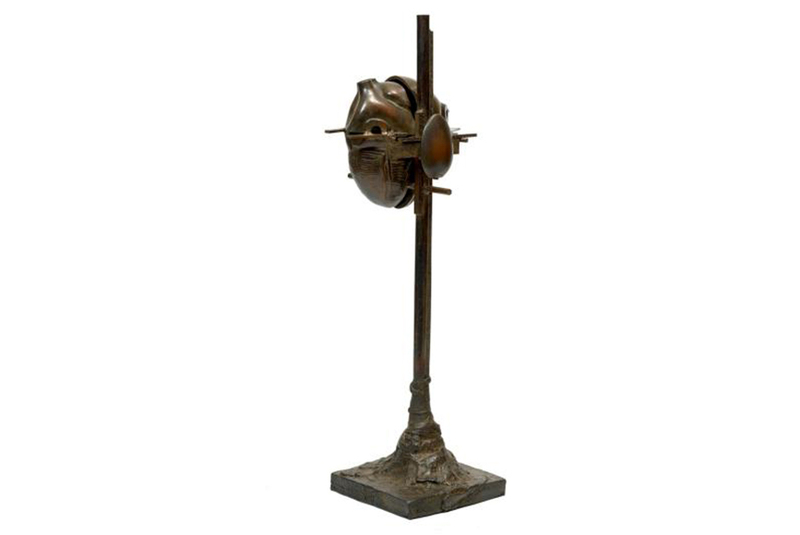 Translating to “Exploded Heart”, this multiple bronze and brown patina sculpture is a part of the edition of 1500, and it follows closely the artist’s Nouveau Réalisme philosophy. 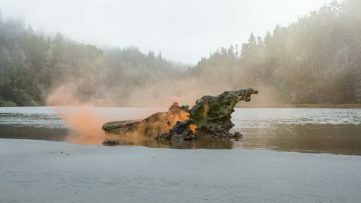 César is known for his unique way of creating, which includes radical interventions on his materials, such as compressions and expansions. A Carte De Voeux, Janvier 2002, or A Greeting Card, January 2002, was also sold at the Cornette de Saint Cyr Prints and Multiples auction, reaching +400%, or $2,248. This signed gouache on paper greeting card was estimated at only $450, among the artworks under $1000 at summer auctions. 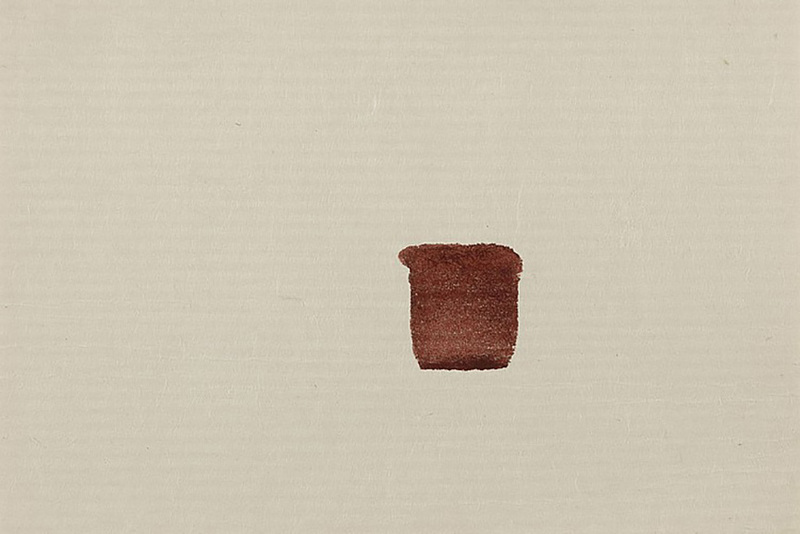 Lee Ufan is a noted Korean artist, painter and sculptor, born in 1936. Known for his minimalistic pieces, one of them being Carte De Voeux as well, he was also one of the main theorists of the Mono-ha, the Japanese post-war art movement, and the main contributor to the Korean Monotone Art, the first 20th century art movement to be promoted in Japan. 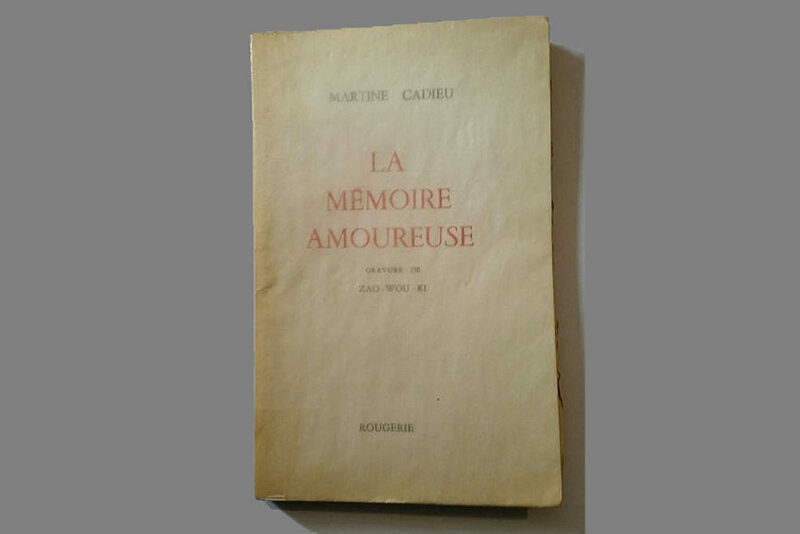 The 1975 volume La Memoire Amoureuse (The Loving Memory) by Zao Wou Ki and Martine Cadieu, was the lot 210 at the Artcurial Prints and Illustrated Books auction, and after being estimated at $393, it was sold for $1,637. Martine Cadieu was a French writer, journalist and a music critic, while Zao Wou Ki was a Chinese-French painter, whose art belongs to abstraction and it’s mostly done in triptychs and diptychs. Another volume with Zao Wou Ki’s name on it, L’Etang, failed to sell at the same auction, at an estimated price of $5,500. Between 1937 and 1960, Verve was a modernist art magazine run in Paris, and during that time, a total of 38 issues in 10 volumes were published. One of those volumes was Volume IX, numbers 35 and 36, from 1950-1954, dedicated to Henri Matisse. It was an important issue, created under the direction of Matisse himself, illustrated with the artist’s numerous reproductions and lithographs, both in color and black and white. 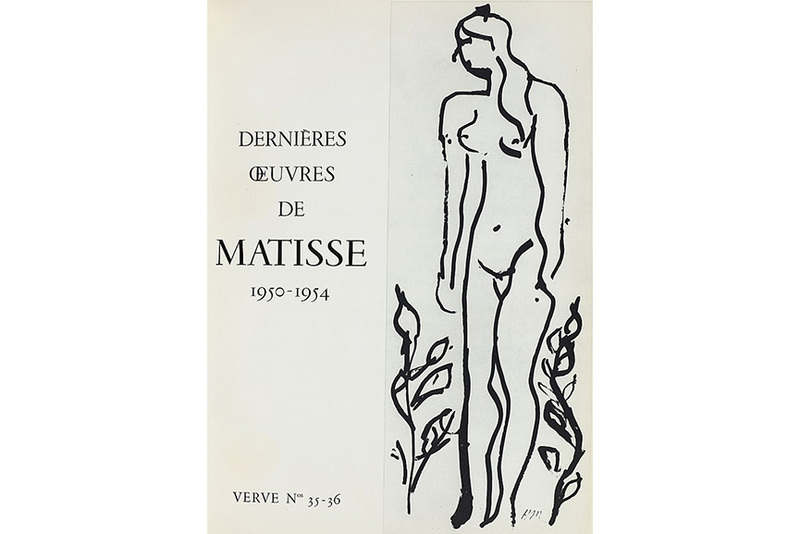 Matisse also illustrated the cover of the issue, which sold at the Cornette de Saint Cyr Prints and Multiples auction for $2,079, after being estimated at $562. 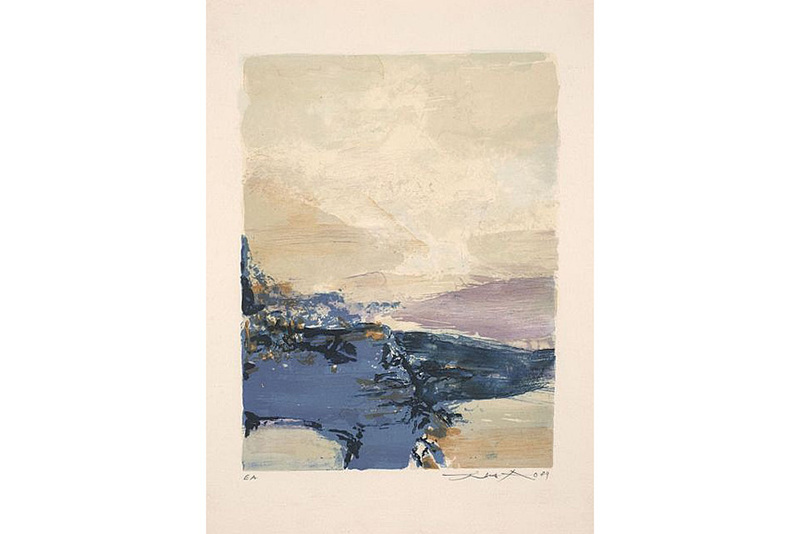 Going from the estimated $135 to the sold $450 was Gerard Fromanger’s Sans Titre from 1973, a color lithograph on wove among the artworks under $1000 at summer auctions. 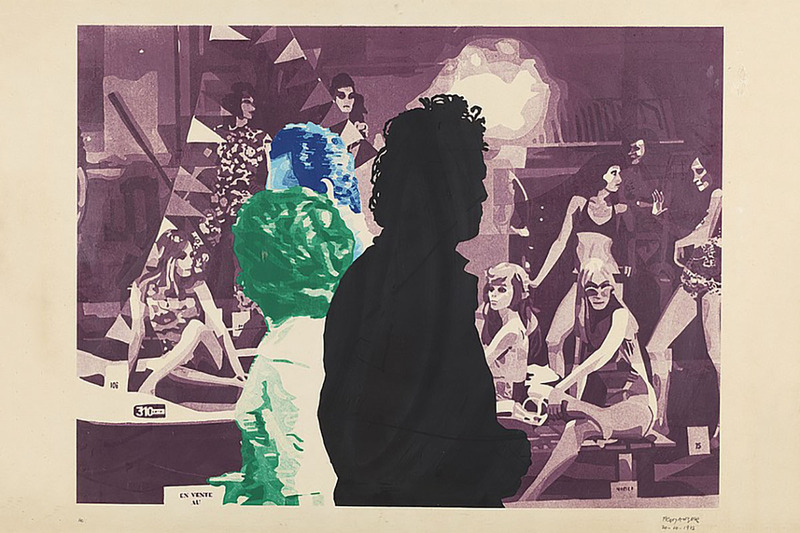 Lot 281 at the Cornette de Saint Cyr Prints and Multiples comes from the rich pop art oeuvre of Gerard Fromanger, who uses collage, photography, sculpture, cinema and lithography for his art. Some describe his artworks as “a reaction against abstract art”. Many of them, including this piece, sees monochromatic shadows immersed in social events, which draws from the artist’s many friends in the fields of poetry, philosophy, literature, arts, film industry, music and more – you could say that he is only depicting his own life through his art. At the Artcurial Prints and Illustrated Books auction, lot 158 was another success for Zao Wou Ki, whose 1989 Litographie 344 sold for $1,123, after being estimated only between $225 and $337. This beautiful lithograph was printed in seven colors and represent the artist’s proof. Marked “89”, as to the year in which he finished the artwork, it is something the artist always used to do. The art of Zao Wou Ki leans toward Impressionism, although many put him together with the artists of Abstract Expressionism as well. He is also known for his use of Indian ink, for artworks based on the Chinese traditional drawings. 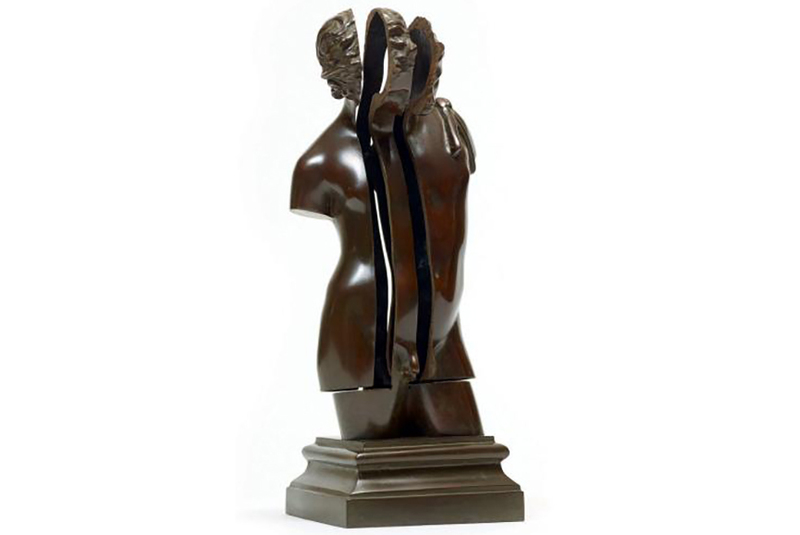 Going back to the Cornette de Saint Cyr Prints and Multiples auction, we have David Dans Le Soi, the 1997 multiple in bronze made by French-born American artist Arman, also known as Armand Fernandez. Estimated at $225, the 33,5 x 13 x 12 cm sculpture was sold for $899, achieving a fairly good price. Apart from his dissected sculptures, such as David Dans Le Soi (David Within Himself), Arman was also known for his accumulations, the destructions and re-compositions of objects and pieces using materials like car parts, furniture, tools, jewelry, clocks, watches and musical instruments. The last among the artworks under $1000 at summer auctions to have shined at the Cornette de Saint Cyr Prints and Multiples auction was an illustration by Tsuguharu Foujita, a Japanese printmaker and painter, for a book titled Combat Avec L’Image (Fight with the Image) from 1941 by Jean Giraudoux, noted French novelist and diplomat. 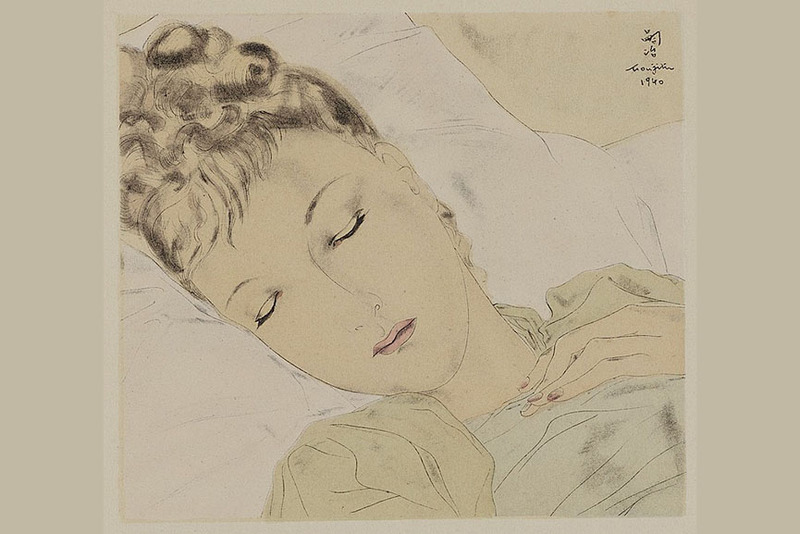 Tsuguharu Foujita was known for applying Japanese ink techniques to Western style paintings, and for his drawings of young women with closed eyes, as seen in this piece as well. 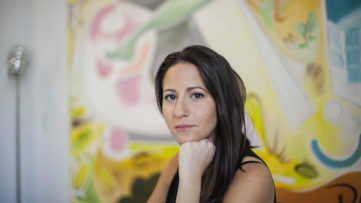 Estimated between $169 and $281, the piece was sold for $877, with +212% high estimate. Stay up-to-date with latest auction sales and collectors’ tips – create your Widewalls profile for free! Paint Your Collection Green This St. Patrick’s Day!